1. AIX-EN-PROVENCE A retired electrician who kept nearly 300 Pablo Picasso artworks in his garage for almost 40 years told a French appeal court on Monday that the artist's widow may have wanted to hide the works from his family. "Mrs Jacqueline Picasso had problems with (her step-son) Claude (Ruiz) Picasso," Pierre Le Guennec said with a trembling voice, presenting a new version of events to the court in the southern city of Aix-en-Provence. Le Guennec, convicted last year along with his wife of possessing stolen goods, said that Picasso's widow Jacqueline asked him to store between 15 and 17 garbage bags containing artworks after he died in April 1973. The 77-year-old said that some time later she retrieved the bags but gave him one of them, saying: "Keep this, it's for you." Le Guennec said "maybe" the widow was trying to prevent the works from being inventoried for the succession, and said he did not tell the truth in the earlier trial out of "fear of being accused, along with madame, of stealing these bags". Le Guennec, who was the Picasso's handyman, had previously testified to being given the drawings while the artist was still alive, in 1971 or 1972. The couple's lawyer Eric Dupond-Moretti said he had learned the new version of events only a few days ago. Le Guennec said Jacqueline gave him the 271 works --- 180 single pieces and a notebook containing 91 drawings --- as a gift recognising the couple's devotion. He described the works as "drawings, sketches, (and) crumpled paper". Uninterested in the haul, Le Guennec said he put the collection in his garage and discovered it again in 2009. Claude Ruiz-Picasso's lawyer Jean-Jacques Neuer angrily denounced Le Guennec's testimony as a "staggering lie", saying the case involved the "art market's darkest and most powerful" forces engaged in an "international stolen art laundering" scam. The collection, whose value has not been assessed, includes drawings of women and horses, nine rare Cubist collages from the time Picasso was working with fellow French artist Georges Braque and a work from his "blue period". 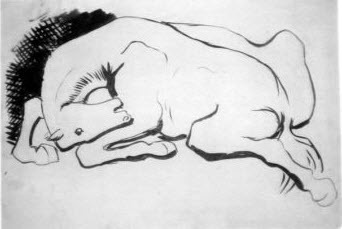 Other more intimate works include portraits of Picasso's mistress Fernande, drawings of his first wife Olga and a drawing of a horse for his children. The works were created between 1900 and 1932. The authorities seized them after Le Guennec tried to get them authenticated in 2010, showing them to Claude Ruiz-Picasso, who represents the artist's six heirs. The Picassos immediately pressed charges, and the works were handed over to Ruiz-Picasso. The Le Guennecs were initially given two-year suspended prison terms for possessing stolen goods by a court in March 2015. The investigation did not formally identify the thief or thieves. The defendants faced maximum jail time of five years and a fine of 375,000 Euros ($410,000) --- or half the value of the pieces, whichever figure turned out to be greater --- if the conviction was upheld. The prosecutor has asked for the couple to be given five-year suspended sentences saying they had harmed Picasso's "memory". The trial centred on why none of the works was signed, with several witnesses saying the artist would sign everything, partly to ensure against theft. According to Gerard Sassier, the son of Picasso's long-time cleaning woman, the artist once said after an attempted theft: "Anyway, nothing can be stolen as nothing is signed." One of the few plaintiffs to have known Le Guennec when he was employed by the Picasso family, the artist's grand-daughter Catherine Hutin-Blay, acknowledged during the trial that the electrician did have a special relationship with the artist. Prosecutor Laurent Robert said Le Guennec was a pawn who was manipulated by unscrupulous art dealers trying to obtain works initially stolen by Picasso's former chauffeur. 2. AIX-EN-PROVENCE - Pierre Le Guennec, the electrician employed by Pablo and Jacqueline Picasso in the 1970s, told the appeal court of Aix-en-Provence on Monday 31 October that he had "lied" when he said that the artist and his wife gave him 271 works in a cardboard box. 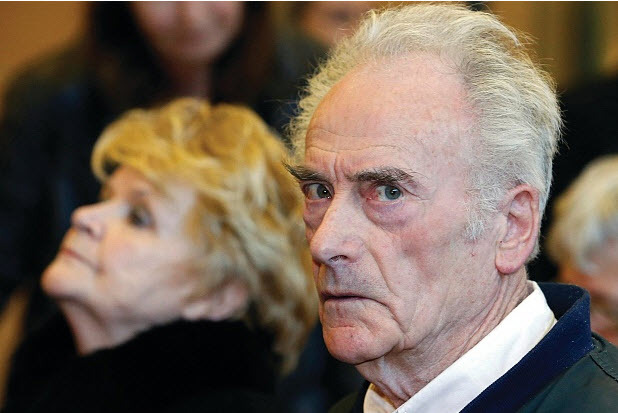 Le Guennec, now 78, and his wife, Danielle, 73, made headlines in 2010 when they took the hundreds of works to the Picasso Administration, asking for authentication certificates, which are required for a sale. The group of unsigned and unrecorded works on paper, dating from 1900 to 1932, includes rare Cubist-collages, two sketchbooks and portraits of his first wife Olga and friends such as Guillaume Apollinaire and Max Jacob. It is valued at an estimated €80m. The Picasso family filed a complaint for theft and the treasure was seized at the Le Guennecs' house on the French Riviera. Last year, they both received a suspended two-year prison sentence for concealment of stolen goods. However, on Monday the retired electrician changed his story. He now claims that the works were given to him in a rubbish bag by Jacqueline, after the artist’s death. According to this new version, Jacqueline had entrusted him with 15 or 16 such rubbish bags that she had filled at a time when she was “having trouble with Claude Picasso”, Pablo’s son born from his previous union with Françoise Gilot, who was present at the trial. Le Guennec said that he returned the bags “a few months later” and Jacqueline then gave him “the last one”, picked “at random”. The defense attorney, Eric Dupond-Moretti, immediately requested an investigation into how many of Picasso's works might have “escaped the inventories”. “All this is absurd,” said Anne-Sophie Nardon, the lawyer for Catherine Hutin-Blay, Jacqueline’s daughter. “How can someone think that she, who so admired her husband and his oeuvre, would have filled garbage bags with his drawings and other works?”. She accused the Le Guennecs of “doing everything to smear the reputation of the Picasso family”. Claude Picasso’s lawyer, Jean-Jacques Neuer, called it “an extravagant tale”, saying that the inventory was only completed in 1978, years after Le Guennec said he had returned the bags. Both lawyers asked for the works to be returned to Picasso’s heirs; the prosecutor requested at least a suspended sentence of two years. The judge is expected to give his verdict on 16 December.